Droid X Gets Official Froyo Update. Live Now! We all thought they were going to miss the end of summer, but they squeaked by and released at midnight on the very last day of summer. With that the official Froyo update for the Droid X has arrived, and is available for anyone to download to their phone right now! 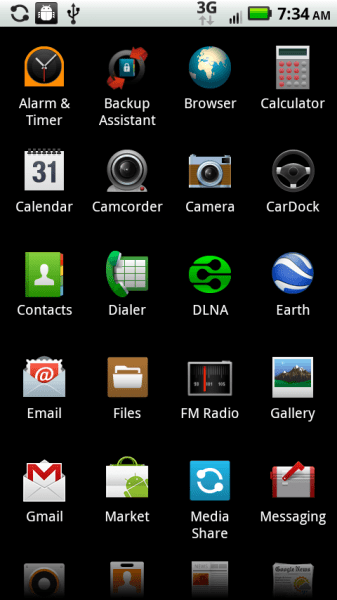 Tap the menu button from any home screen. Scroll all the way down and tap About Phone. Tap the first option that says System Update. Now you can sit back, relax, and let your phone become among the Android gods with all that Froyo goodness!! So what about all of you guys that were on the leaked version we handed out to you a few weeks back? Well you have two options. First: You can restore your phone to 2.1 using the SBF file and RSDLite program, and our guide found here. Once rolled back to 2.1, you would have to reinstall all your apps, and configure all your settings. You could then follow the normal instructions from this post to pull the update down to your phone. Second: Do nothing. You guys are running either system version 2.1.9 or 2.1.13 already depending on what leak you installed, but either way there really should be any major differences between the two. On top of that, if you wait just a week or so I will be we will see the 2.1.13 version put up for us to download as some kind of update installation. One thing you should note is this leaked version actually blocks you from getting the official OTA. If you checked your phone and checked the system update option it would tell you your phone is up-to-date already. So if you’re worried about getting ANY official over the air updates in the future, I would suggest going with option 1 above. 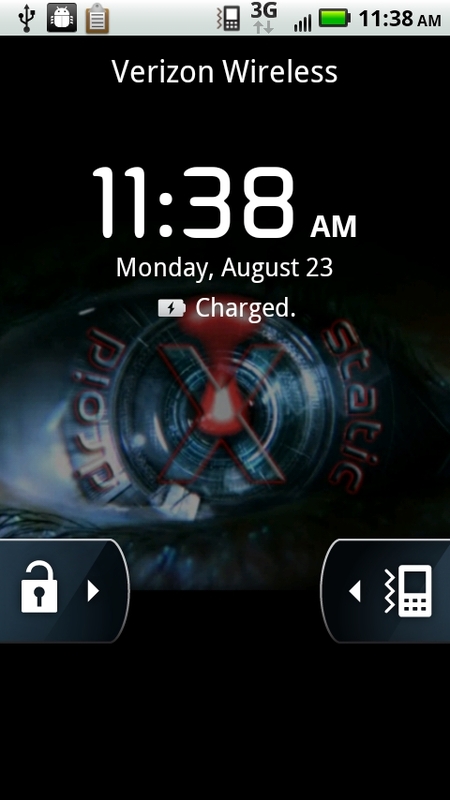 First Custom Rom Hits Droid X! 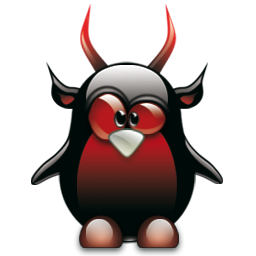 Birdman delivered yesterday as promised with the first custom rom for the DroidX, titled FlyX. This rom is in RC status meaning there WILL BE BUGS. So far a known issue is the physical search key not functioning properly, however most people are not having many issues with it for being a release candidate. A couple of notes before taking the plunge on this. With all that said, you could always roll back to the stock 2.1 on your phone and then get the OTA update that way. We have a guide for that as well, here. Please note, if you’ve already installed the 2.2 leak, you’re good there. If you already had the Bootstrap app installed, especially if you downloaded it from Koush’s website, and you get an error reading your SD card when you boot into recovery, go to the market and download the updated Bootstrap app, it resolved the issue for most users. So with all the warnings and heads up out of the way, if you’re ready to dive in and install this Rom, here you go! WARNING: Do NOT load the leaked 2.2 upgrade that has been floating around on the Internets. There is currently no upgrade path from that load to the official 2.2 load that will be released by early September. Unless you have some plan to flash your phone back to the current official load, you could be stuck on the leaked version. So with that, if you want to be able to get the official update from Verizon via over the air then you’ll probably want to flash your device back to the stock 2.1 build using RSD lite and our guide(s) here. One would think however that once the final OTA build is delivered that someone in the community will snag it up and package it into either an update.zip or rom inside of rom manager for us to download. So eve if you don’t want to take the leap into RSD lite, you should still be able to find a way to get the update, just probably not the first week it’s rolled out. Not to mention we don’t know if there is really any differences (if any at all) between what was leaked and the final build, although I would have to guess the leaked copy wasn’t a final build or it would’ve been pushed out already. Updated! 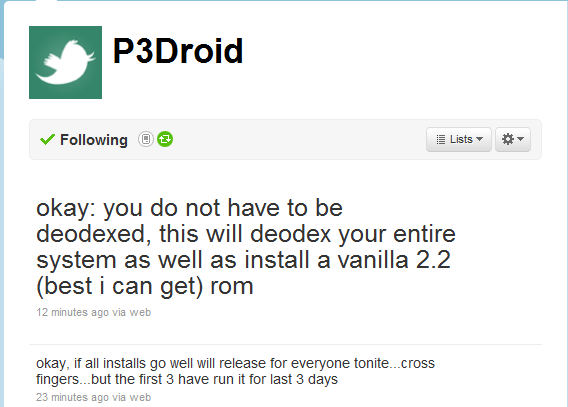 Restore your Droid X/Update it to Froyo! UPDATE/IMPORTANT! DO NOT INSTALL THE LEAKED VERSION OF FROYO IF YOU WANT THE OFFICIAL VERSION. WARNING! DO NOT USE THE SBF FILE TO RESTORE TO 2.1 AFTER YOU HAVE INSTALLED THE OFFICIAL 2.2 UPDATE FOR THE DROID X, YOU WILL BRICK YOUR PHONE GUARANTEED! We all know Motorola doesn’t want us to have any fun, but for some reason this information magically came my way. Now the real disclaimer: These files are NOT hosted on my servers. In fact this site isn’t hosted on my servers, however these files are in no way linked to this site, wordpress.com, or any affiliations. We assume no responsibility for the companies, persons, or entities hosting these files. 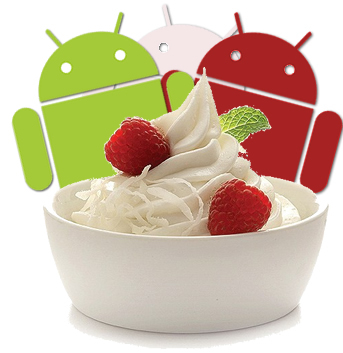 Did you just recently get your fill of Froyo on the Droid 1, or through the leaked copy on the Droid X? Or maybe you just picked up a fresh new Droid 2? Whatever the case may be, you mind some things different or out of place when coming from Android 2.1 to 2.2, and we’re not talking about just the obvious addition of Flash. Here’s just a few tips and insights into Froyo, how it differs from 2.1 and how you can maximize all that performance of the beast within Froyo. So with all the buzz about the leaked copy of Froyo over the weekend, and a lot of people nervous to take the plunge, they might have very well missed their chance before the OTA update arrives now that Motorola has plagued the internet sites hosting the update with cease and desist orders. With that, if you missed out but still want to grab the nice new lock screen from the Froyo update on the Droid X we have you covered!